Interview with Author Linda Yezak and a Giveaway! Welcome to Readers Write to Know! I asked you, my readers, what questions they would ask their favorite authors if given the chance, and the authors visiting my blog answered them! This week, I am pleased to introduce you to Carol Award finalist Linda Yezak! The collection she is currently in – Coming Home – A Tiny House Collection sounds absolutely fascinating — and she is giving away a copy to one of you readers! So, check out her interview, and at the end, see how you can enter to win! Tell us a little bit about yourself: I scored low on the “How High-Maintenance Are You” test floating around on Facebook. I buy expensive makeup. That’s the extent of it. I’d rather be fishing than just about anything, I love almost all spectator sports, and given half a chance, I’d still try to climb a tree despite the fact I turned 60 this year. I love to cook, enjoy needlework, and adore being with people. Anyone who knows me knows the rest: I’m a coffee addict with the amazing talent of walking with a foot in my mouth. Tell us about your current release: Ane Mulligan, Pamela Meyers, and I along with four other authors jumped into the tiny house craze with Coming Home: a Tiny House Collection. 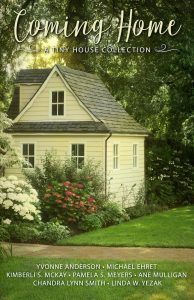 Each novella in the collection includes a tiny house in some way, but all the stories are different, from romance to women’s fiction—even a mystery/suspense. My novella, Kayla’s Challenge, involves a young woman who is one I-do away from marrying the man her parents chose for her. She decides to move away from Georgia and get out from under their thumbs. When she arrives in Texas, she has great visions of buying land and raising horses, until she discovers the price tag. Will she be able to break free and become the mature adult God wants her to be? Whats the first major news headline that you can remember and what do you remember? The first major headline that made an imprint was when President Kennedy was assassinated. I was in grade school during the era of “duck and cover.” Periodically, we would have drills invented by someone who thought tucking our heads against the wall in the elementary hallways would keep us safe from nuclear blast. That and the Vietnam War were the biggest events around, along with the Cuban Missile crisis. I was only vaguely aware of the war and the Cubans, but when the president got shot, even I paid attention. Our teacher wheeled in a TV set, and we got to watch some of the events before they released everyone to go home. I don’t remember my teacher’s name, but I remember that she cried. Everyone seemed in a state of shock. First time in my young life I deliberately watched the news. What inspired you to start writing, or did you always want to write? Back in the ’90s, when my dad had cancer and Billy’s company moved us 150 miles away from home, I couldn’t go back to work because my folks needed me. Writing was a means to keep occupied, but I didn’t have the slightest interest in making a career out of it. It was just something I’d always done and turned to it again to stay busy. During the subsequent years, Daddy died, Mom adjusted to being a new widow, and I dealt with an illness no one would diagnose for the next six years and wrote. I finished my mystery, Shattered Crystal, and, with all the optimism of a typical newbie, sent the raw manuscript off for publication. The novel got rejected before I drew my next breath. For some reason, that was all the incentive I needed to learn the craft and try again. My next novel, Give the Lady a Ride, released in 2011. 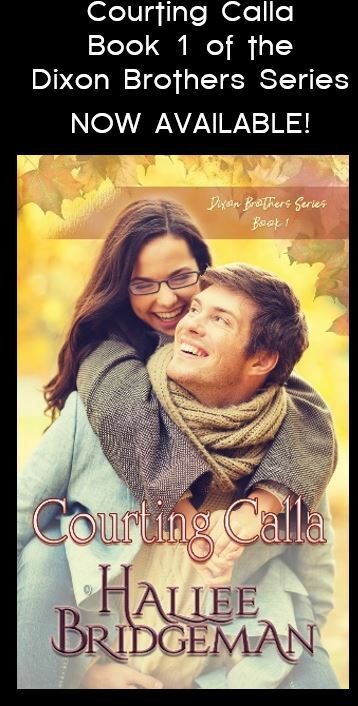 It was a finalist in the Carol contest and won the Grace award for Christian Romance. I’ve been hooked ever since. How did you make the initial step into writing your first novel. What were some of your major roadblocks and how did you overcome them? I used to play bridge on Pogo, and one of my regular partners had a disease that would ultimately kill her. She couldn’t speak and her husband couldn’t see, but she could make her computer talk for her, and they managed. This was during the time when Daddy was sick, and I was writing Shattered Crystal. Every time I finished a chapter, I sent it to “Lima” and her husband. They were always full of praise and encouragement, always wanting to know when the next installment would be. “Lima” died before I finished the book. That was my first experience with the death of a cyber-friend, and it was every bit as painful as if she lived right next door. Getting over that and all the subsequent traumas of losing Daddy and such were definite roadblocks. Life gets in the way. That was the first time, but it certainly wasn’t the last. Much later, when I was writing The Cat Lady’s Secret, my mother was seriously ill and no one could figure out what was wrong. During that time, our son died unexpectedly. My own illness decided to kick up a fuss because of all the stress. My cute little comedy novel became a comedy-drama. Each of my novels have a story behind them, not all of them bad. But life does get in the way. We just have to keep writing. What do you do when you hit a roadblock and have NO idea what to write? I have a favorite story generator site that I could spend hours on: Writing Exercises, out of the UK. It gives ideas for plot, characters, opening lines, unusual dialogue. It hasn’t failed me yet. 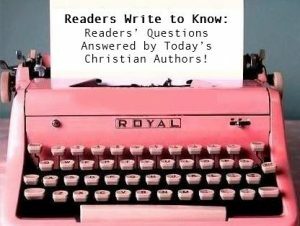 This entry was posted in Blog, Hallee's Interviews with Christian Authors and tagged author interview, interview with christian author, linda yezak, readers write to know, tiny houses. Bookmark the permalink. 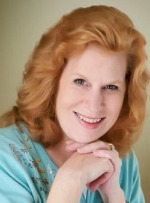 11 Responses to Interview with Author Linda Yezak and a Giveaway! Hallee, thanks for this opportunity. Such a fun interview! Yes, it was. I still miss her. Thanks, Danyelle! 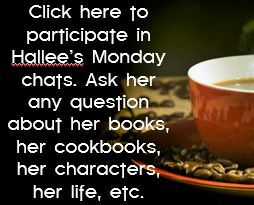 Hallee asked some great questions. The Cat Lady’s Secret sounds interesting and right up my alley. I’ll have to check it out. It’s a goody. I hope you like it. Your Virtues and Valor series looks intriguing. I’ll have to check it out. It’s always fun finding a new author! I’m sure you’ll enjoy Hallee’s collection. Thanks for the comment! Looking forward to reading “Coming Home.” Thanks for the chance.